“We came to Keystone Memorial Company with and idea for a memorial depicting an entrance to a beautiful garden. Their talented artist arrived at a rendition which proved to be exactly what we had imagined. This memorial is truly a lasting work of art that must be seen to be fully appreciated. Our goal is to provide you with an excellent customer service experience. Since 1929 we have been the leader in supporting Funeral Directors and their families in New Jersey and eastern Pennsylvania. By enabling Funeral Directors to offer a full line of memorials, families have the convenience and comfort of taking care of this important tribute with someone they know and trust. 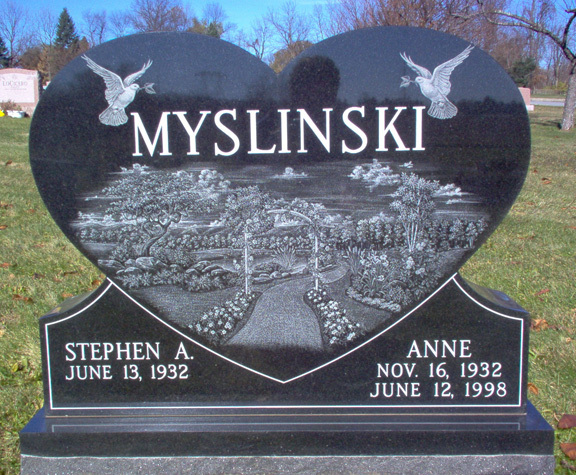 Our excellent craftsmanship and unsurpassed customer service will ensure that your memorial will be a lasting tribute to the life of your loved one. We would like to thank the Funeral Directors that we work with, along with the families that they serve. It gives us great satisfaction assisting you with your memorial. Ask your Funeral Director if they offer memorials from Keystone Memorial Company or contact us for the name of an authorized representative in your area. Website by Rachel Wilk Designs,llc.